Add 4.0 Bluetooth Low Energy to your computer in an instant! Just plug into a USB port. 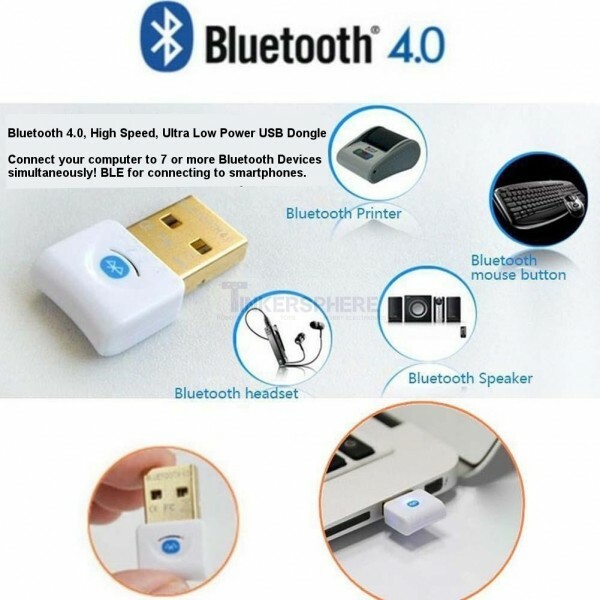 Useful for bluetooth connectivity with your smartphone from your computer. Use this Bluetooth USB Dongle to connect your computer with other Bluetooth devices including iPhones, Android, etc! 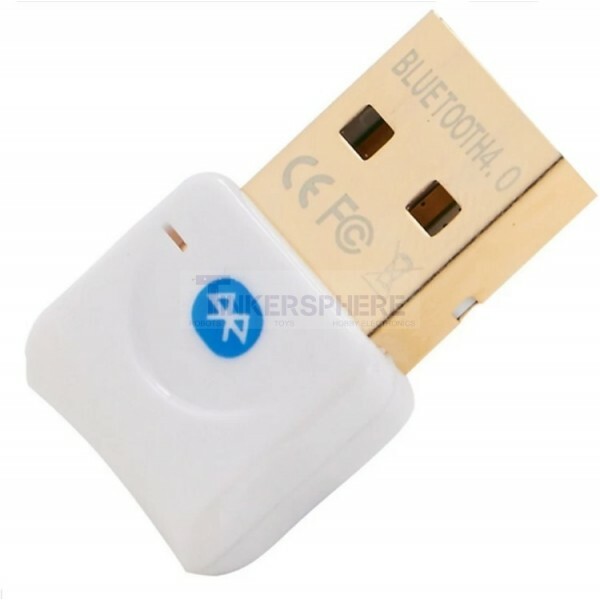 Uses BLE Bluetooth Low Energy Bluetooth 4.0 as well as Bluetooth 3.0 and older for connecting with older devices. Just pop into one of your computer's USB ports and you'll be communicating with Bluetooth devices in no time! Backward compatible with Bluetooth v1.2, 2.0, 2.1 and 3.0.